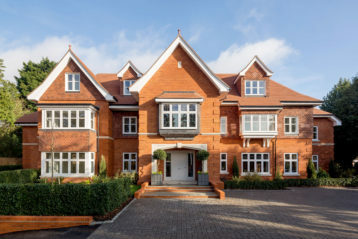 An outstanding Beechcrest apartment with many features including an open plan bespoke hand-painted kitchen and a generous living area overlooking the landscaped communal grounds. Beechcrest sits on the fringes of the market town of Beaconsfield in Buckinghamshire. 4079mm x 3624mm 13'5" x 11'11"